Bob Sheehy (left), Dr. Tom Valdivia (middle) and Kyle Rolfing (right), co-founders of Bright Health. Another new health insurance startup is hitting the marketplace. Bright Health has raised $80 million from a handful of venture capital firms and has its sights set on the Affordable Care Act exchanges and, eventually, Medicare Advantage. Bob Sheehy, the former CEO of UnitedHealthcare, is one of Bright Health's co-founders and serves as CEO. Bright Health, based in Minneapolis, will sell narrow-network plans on and off the ACA's exchanges in 2017 in one state. The company will disclose that state soon, and the goal is to be in three to five states in five years, Sheehy said. The creation of Bright Health represents another instance of venture capital investors and entrepreneurs itching to pour money into the health insurance market, particularly the individual marketplaces, which have been overhauled by the ACA. The startups have targeted the market, which is heavily controlled by large legacy insurers, believing they can cut into the business of established companies through technology and consumer-friendly features. Oscar Insurance Corp. has been the poster child of the health insurance tech darlings, although it has stumbled so far in its first two years on the ACA's exchanges. Others include Canopy Health Insurance (formerly Melody Health Insurance), Zoom+ and Clover Health. Bright Health will only offer an exclusive provider organization plan. EPOs are narrow-network plans, which are common on the exchanges. Patients who receive care outside of the network are on the hook for most or all of the full charges. Sheehy said Bright Health will have a range of EPO products to choose from, including those with more comprehensive coverage and others that have higher deductibles paired with health savings accounts. Like Oscar and other startups, Bright Health will focus on “consumer-centric” technology, meaning members can schedule doctor appointments and look up information on their prescription drugs from their smartphones. “We are really working to think how we can simplify the whole healthcare experience by using technology,” Sheehy said, echoing the promises made by other new insurers. After Bright Health sets a foundation with ACA-compliant individual plans, the company will pursue a Medicare Advantage contract with the CMS, Sheehy said. The goal is to offer a Medicare Advantage plan by 2018. More insurers and seniors have gravitated to the private managed-care version of Medicare, a $170 billion market that covers 18 million people. Kyle Rolfing and Dr. Tom Valdivia are Bright Health's other co-founders and serve as president and chief medical officer, respectively. Both previously were top executives at Definity Health, a company that managed high-deductible health plans for self-insured employers. UnitedHealth Group, the parent company of Sheehy's former employer, bought out Definity for $300 million in 2004. Large venture capital firms Bessemer Venture Partners and New Enterprise Associates led the funding round. Flare Capital Partners, which provided Bright Health with its initial seed money and where Sheehy serves as an executive partner, also participated. Bessemer and NEA have invested in a slew of healthcare companies. Some of their investments tied to health insurance or insurance-related technology include Collective Health, GetInsured and Liazon. 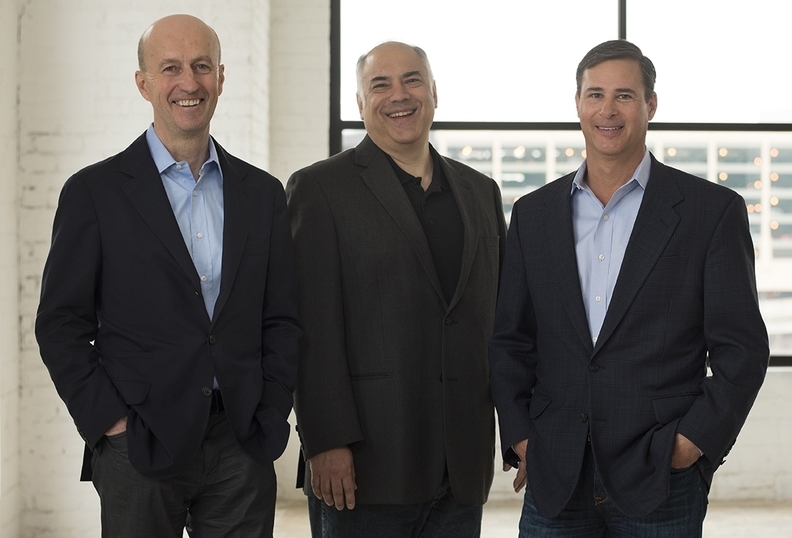 Bessemer partner Stephen Kraus and NEA partner Mohamad Makhzoumi sit on Bright Health's board. Roughly $6 million of the $80 million raised will go toward executive compensation, according to a federal filing. That includes the repayment of a $4.5 million loan provided by Sheehy. Most of the money will go toward hiring staff, building health plans and developing technology.